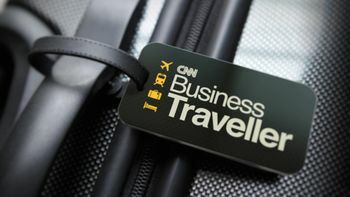 CNN Business Traveller title card. 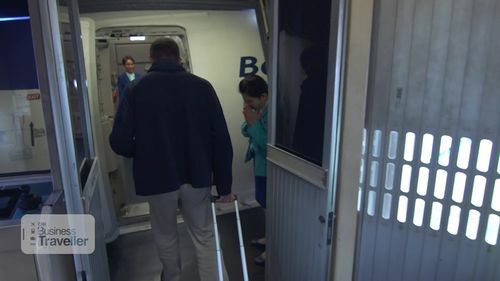 CNN Business Traveller investigates various topics related to business related travel, including airlines, airport lounges, frequent-flyer programs, hotels and the travelling lifestyle. 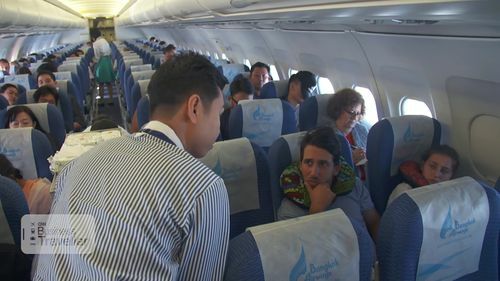 In 2016, the program attempted a stunt to fly around the world travelling only on 10 low cost airlines through 9 countries across 8 days, comparing experiences on each airline and interviewing executives from the carriers over two episodes (April 2016 and May 2016). 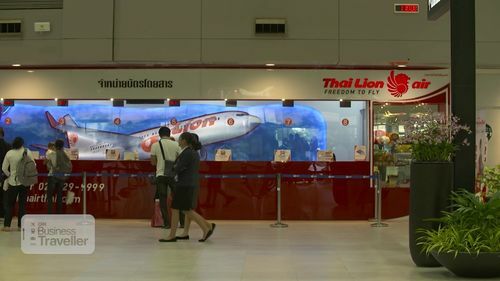 An aircraft picture at Thai Lion Air ticket counter in Don Mueang International Airport (DMK/VTBD). The picture is a Boeing 737-9GP(ER)(WL), registration HS-LTI, c/n 38738/4643, built in 2013. Reg. HS-LTI Boeing 737-9GP(ER)(WL) of Thai Lion Air. Registration HS-DBY, c/n 61299/6426, built in 2017. At Don Mueang International Airport (DMK/VTBD). Reg. HS-DBY Boeing 737-88L(WL) of Nok Air. 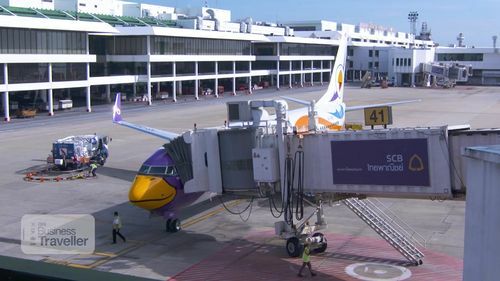 At Chiang Mai International Airport (CNX/VTCC). 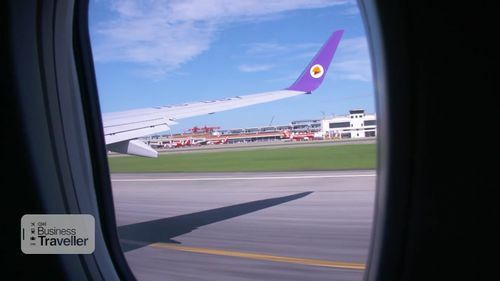 In the background, there are three Airbus A320 of AirAsia at Don Mueang International Airport (DMK/VTBD). 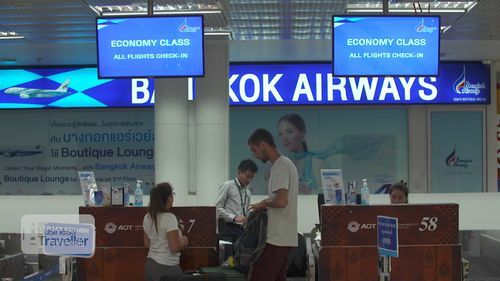 On the left, an aircraft picture at Bangkok Airways check-in counter in Chiang Mai International Airport (CNX/VTCC). Airbus A319 of Bangkok Airways. Airbus A319 or A320 of Bangkok Airways. 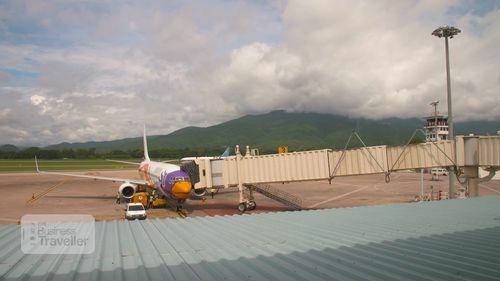 At Chiang Mai International Airport (CNX/VTCC). Airbus A319/A320 of Bangkok Airways. This page was last modified on 10 January 2019, at 17:13.